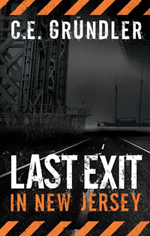 Not long ago, I posted a review of Alex Austin’s book on Goodreads, though as the weeks pass since I finished the The Red Album of Abury Park (Remixed) I find myself comparing it to books I’m currently reading and my own writing as well. There are stories that are read and just as quickly forgotten and there others that seem to resonate over time, books that bear reading again and again over the years. The Red Album is written in a way that draws the reader in, the words weave through the pages creating mood and atmosphere that goes beyond simple story-telling. This is a memorable book I know without question I’ll revisit again. The marsh spread uniformly pale green, except where patches of snow packed tightly against the reeds, fixed there by the bay wind that now whistled through the cracks in the wraparound rear windshield. Along the creek banks, thin sheets of ice melted into winding olive streams where gulls foraged for soldier crabs and edible garbage, a hundred gliding now under a dull winter sky. To the east, past a string of sand-swept houses, the bay spread towards the Amboys, gray and wind-blown like wrinkled aluminum foil. Though the story occurred in the late 1960’s, certain elements are timeless. I’m familiar with the locations, many of which remain to this day and that added a personal element of enjoyment to the story. I have no musical background and though music is vital to much of the protagonist’s character I had no difficulty relating, perhaps because dreams and ambitions, no matter their form, are universal The mystery weaves through the plot and through the lives it affects and all comes together with a satisfying conclusion. What resonated with me most days after I finished reading was the author’s voice and the moods he creates. 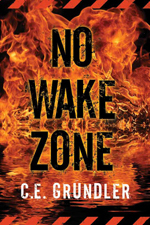 This is a gripping and complex story that will linger in your mind long after you put it down and one I highly recommend. 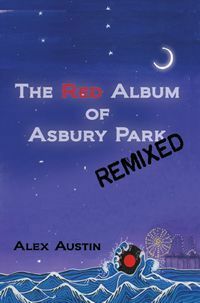 This entry was posted in book reviews, writing and tagged alex austin, The Red Album of Asbury Park (remix). Bookmark the permalink.